While his films of late have been getting kicked around by critics, David Ayer remains pretty popular overall. Suicide Squad is easily the most popular DC Comics movie with audiences other than Wonder Woman, and his Netflix orc/fairy cop thriller Bright did so well that a sequel is coming up. But before he heads back into that world he'll take a diversion into crime thriller territory with Tax Collector, and he's bringing old friend Shia LaBeouf with him. 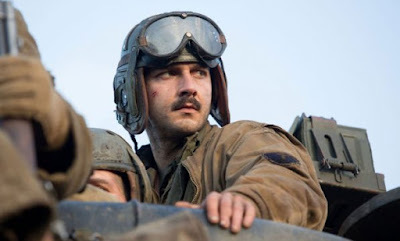 Ayer will produce, write and direct the film which reunites him LaBeouf, who he worked with on WWII tank thriller Fury. No details are known except that it's expected to be gritty similar to Ayer's early cop movies like Street Kings, Harsh Times, and End of Watch. I remember Ayer really wanting LaBeouf to have a role in Suicide Squad but things never worked out. Glad to see them reconnecting now. Since there's no plot, I'll quietly hope Tax Collector is a secret crossover with The Accountant, especially since I have a hard time telling Ayer and director Gavin O'Connor apart stylistically. I love both of their movies equally, too.